Ruth Stephan, University of Arizona Poetry Center founder. 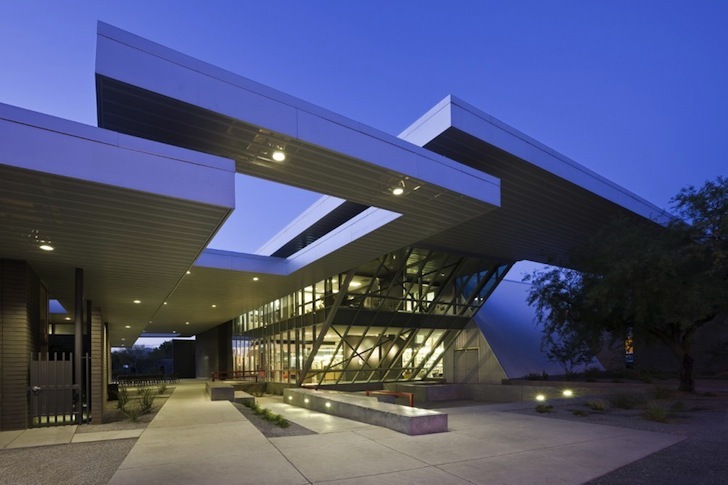 The University of Arizona Poetry Center was founded in 1960 as a living archive, to maintain and cherish the spirit of poetry, to promote poetic literacy, and to sustain, enrich, and advance a diverse literary culture. The Poetry Center provides opportunities to enjoy a wide range of activities including readings and lectures, classes and workshops, library exhibits, field trips, K–12 educational resources, and discussion groups. It is, as beloved teacher and Poetry Center friend Steve Orlen said, “The best living room in America for reading poetry.” As an internationally renowned poetry library, the Poetry Center sponsors numerous University and community programs, with a special opportunity within the College of Humanities, to provide free and full accessibility to the public. The University of Arizona Campus Arboretum is a living laboratory, dedicated to promoting stewardship and conservation of the hundreds of plant species collected and installed on the campus grounds throughout the University’s history. The goal of the Campus Arboretum is to preserve, curate and enhance this extensive collection as a resource for research and education programs that promote the historic, scientific, environmental, economic, aesthetic and educational value of these arid-adapted plants. To this end, the Campus Arboretum has established partnerships with the Poetry Center to allow us to communicate to a diverse audience the environmental, social, and economic value trees contribute in urban settings. Through partnership with the Poetry Center, we aim to harness the power of poetic language to expand appreciation for urban trees and to provide experiences for campus residents and visitors that transform their attitudes and ability to advocate for urban tree stewardship and conservation. 2017-2018 Po-e-tree Schedule of Readings Under A Tree You may view details for these events on our 2017-18 calendar. 2016-2017 Po-e-tree – Schedule of Readings Under A Tree You may view details for these events on our 2016-17 calendar.